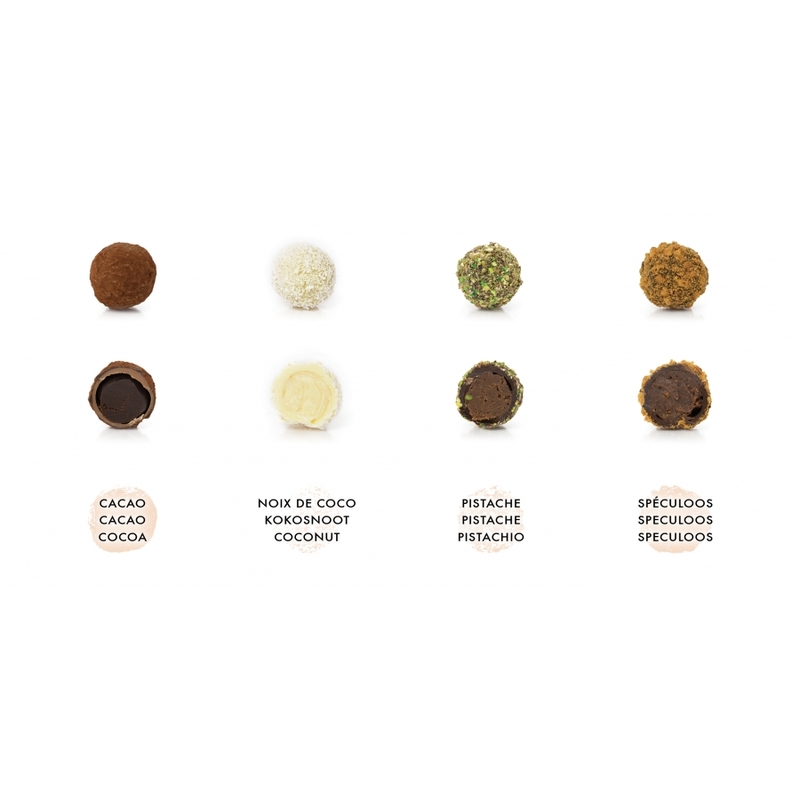 All the intensity of a selection of truffles. 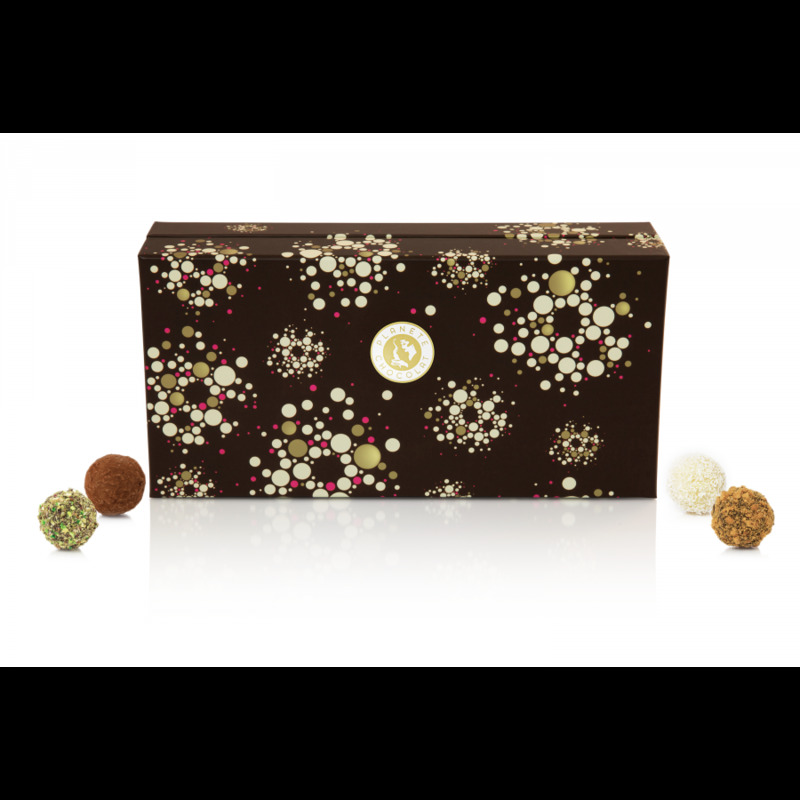 Planète Chocolat continues their commitment to sharing their passion for homemade chocolate, combining an assortment of 21 truffles in a box, to create the perfect gift for holidays like Christmas, Easter, Mother's Day, or Valentine's Day. 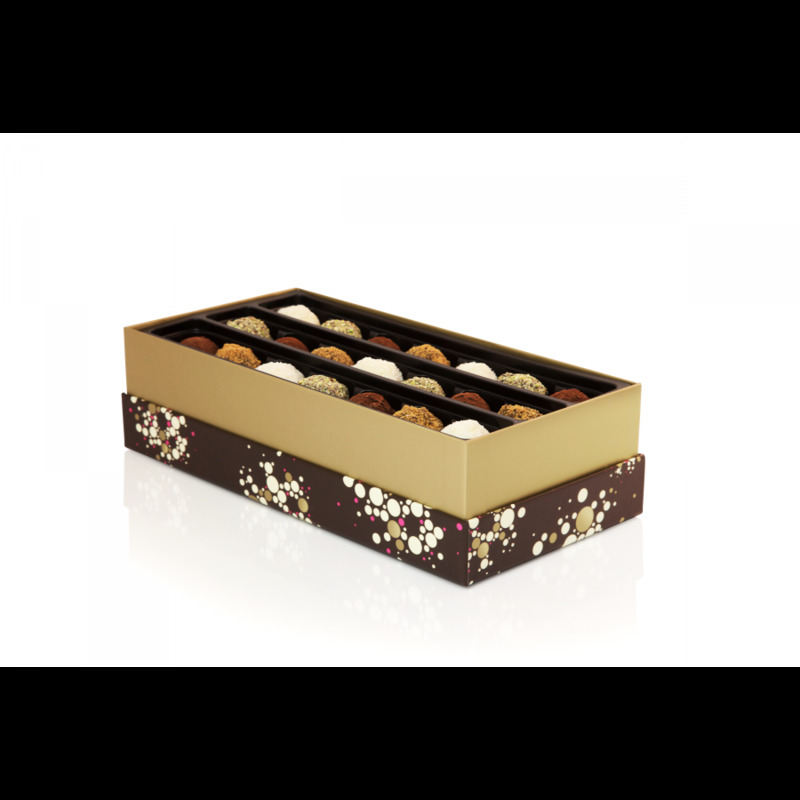 Our master chocolate makers have chosen intensely flavored (speculaas, coconut, pistachio, cocoa) ganache, which still uses the traditional recipe based on a mix of cream, vanilla and cocoa powder. 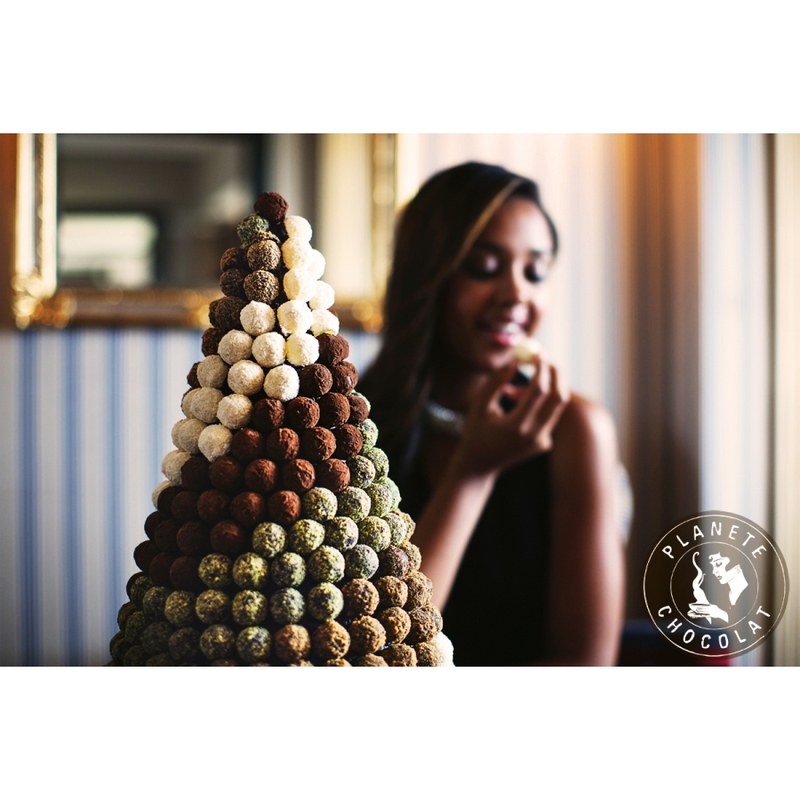 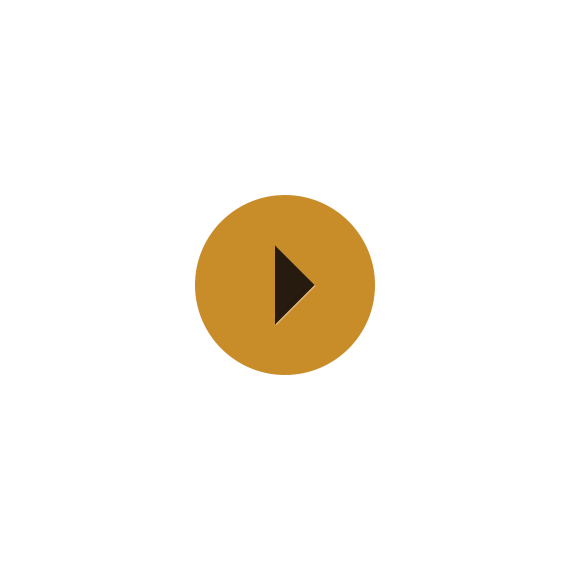 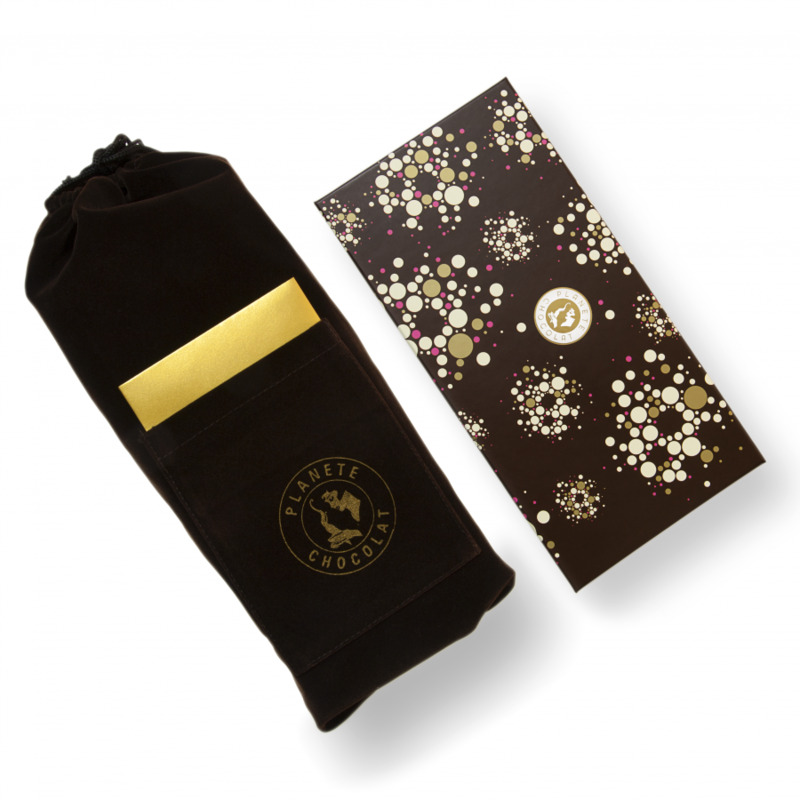 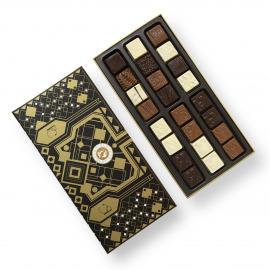 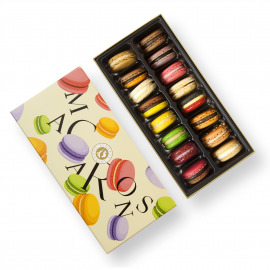 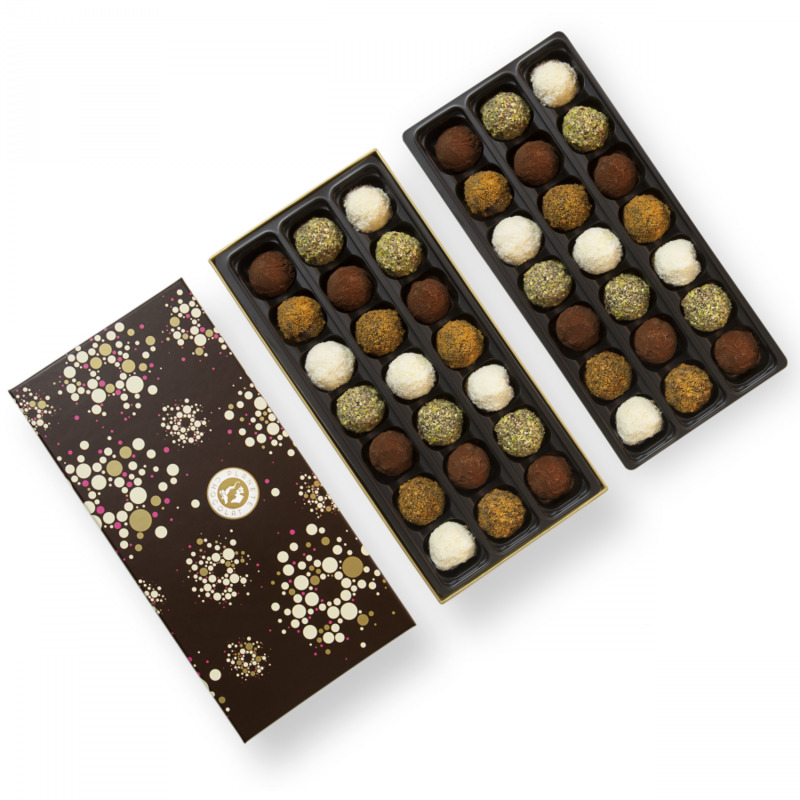 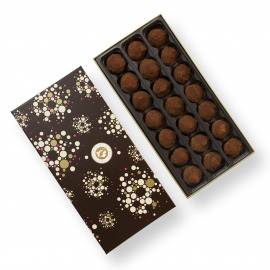 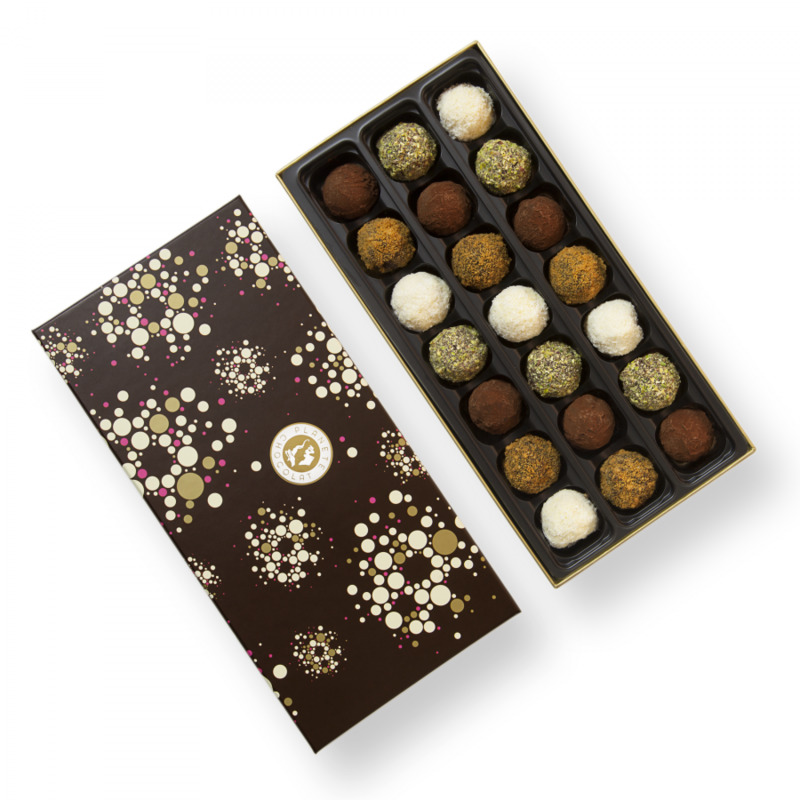 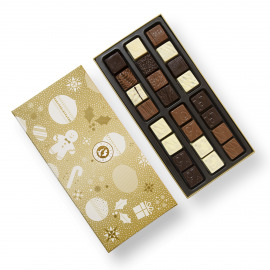 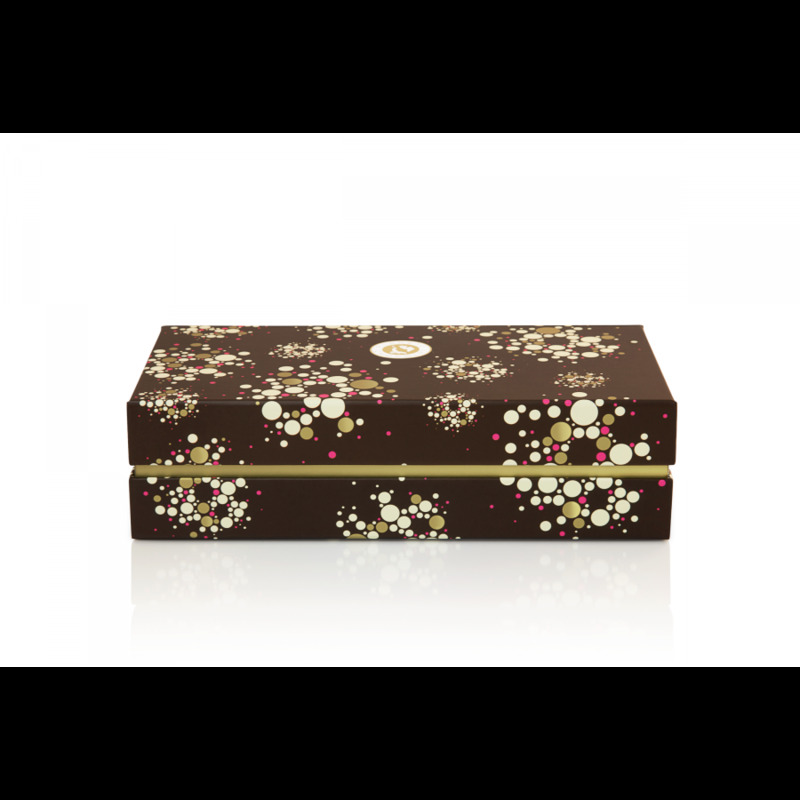 As art plays a major role in the creative process of Planète Chocolat, the company has chosen to accentuate the truffles by arranging them carefully in a specially designed box.